Whether you had a late night out with your friends or are ready to kick off your Sunday right, there's no better way to start the day than with brunch. Tallahassee has some of the best brunch spots around. Check out this guide to the best benedicts, biscuits, and bagels that all brunch-goers will love. For some of the best brunch specials in town, look no further than Andrew's. Not only does Andrew's offer their traditional brunch menu of Fried Chicken and Waffles to Shrimp and Grits, they also offer a brunch buffet for $18! Not to mention, they also offer half-price happy hour all day including $4 Bloody Mary's and $3 mimosas! One thing is for sure, Andrew's has been around for 45 years in the same spot, and it's no wonder why they've made it for so long. Their food is divine! If you're like me and can eat sushi for every meal, every day, check out Azu! For just $13.95 per person, enjoy Azu's Sunday Brunch Buffet from 10:30 a.m .to 2:30 p.m. The buffet features a carefully-planned mix of entrees highlighting particular items and flavors on their menu. Be sure to make some room in your stomach on the way over because this brunch special isn't one to be go easy on! Even cooler, Azu also offers a special Saturday morning Dim Sum menu if you like to brunch on Saturday instead of Sunday! Offering daily specials served with local and fresh ingredients, the Sage offers a high-quality seafood-style brunch. From the Chicken and Mushroom Crepe to the Gulf Blue Crab Cakes, Sage does seafood right. For the daily specials, be sure to ask your server. Wash your palate down with one of their brunch-concocted cocktails such as the Waking Georgia, made with a cold-brewed grassroots coffee, double chocolate vodka, crème de cacao, and caffè borghetti espresso liqueur, then garnished with espresso beans. Calling all vegans! The Sweet Pea Cafe serves up their dishes from farm-to-table and are locally-sourced and operated in Tallahassee. Their brunch specials change every weekend and are posted on their Facebook page the morning of and on their restaurant chalkboard. 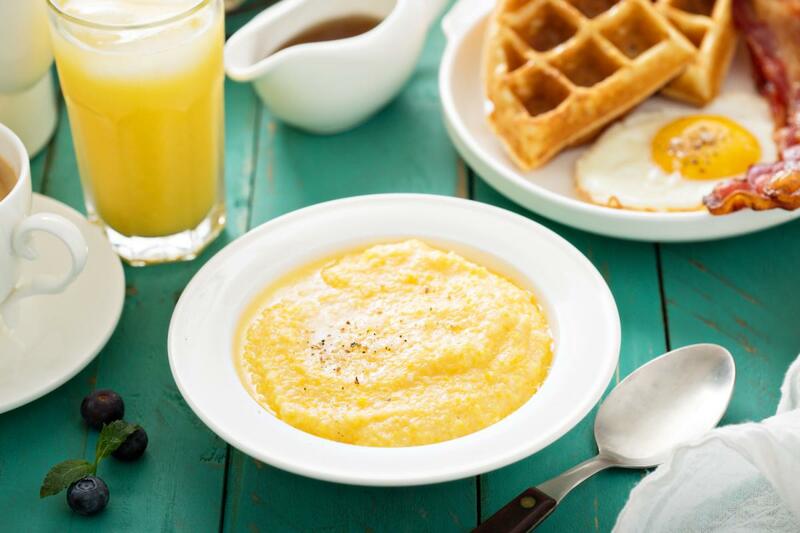 Typical items you can expect on their brunch menu are yellow grits, roasted potato hash, and much more! If you're looking for a mimosa, they offer three different types as well as plenty of beers and coffee. The Sweet Pea Cafe is open 10 a.m. to 4 p.m. on Saturday and Sunday! By far one of the most popular brunch spots in Tallahassee, the Edison is a must-visit. Although they don't offer any brunch specials, if you time your brunch just right, you can order your meal a little before 3 p.m. and, as soon as 3 o'clock strikes, their happy hour kicks in which is everyday from 3-7 p.m. Enjoy your Stuffed French Toast with a Rosewater Pink Lemonade overlooking Cascades Park. The Edison's mission is to showcase the best of Florida, and they certainly showcase this with their menu items and location; sitting right at the heart of the state capital. If at all possible, be sure to call ahead as most brunch places in Tallahassee get insanely busy when the weekend rolls around.